Small sachets, little bottles… which one of us did not collect samples and miniatures of cosmetics? Whenever we run out of our favourite facial cream, the samples will save us. Thanks to them, we are be able to make sure whether the new product is really worth the money. And now a moment of truth. Can you admit that you actually used up the products before the expiry date? If not, then have a look at the tips on how to use samples and travel size cosmetics. Samples found in magazines. These are small sachets with a capacity of several ml, which are enough for one or two applications. Usually, it is very difficult to form an opinion about a particular cosmetic after using only samples from a magazine. So what to do then? 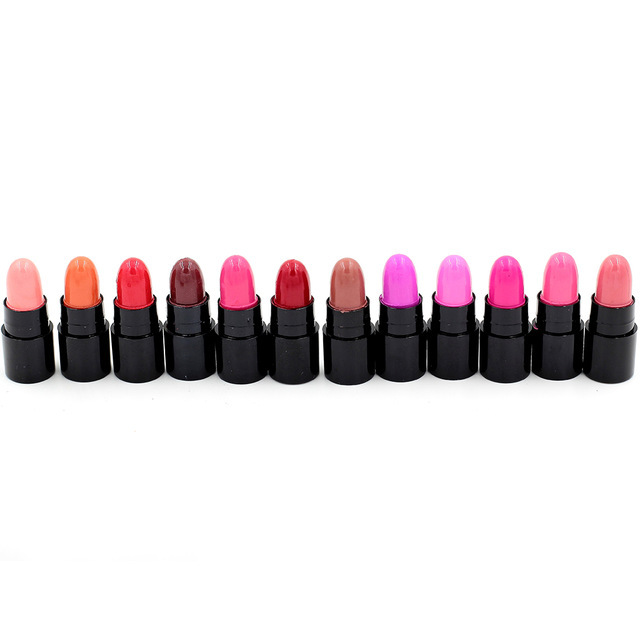 You can give them to a friend, your mother or those who only use small amounts of cosmetics. What is more, you will not use the samples of facial creams designed for women aged 70+. However, if you collect sachets of creams, remember to do a general clean-up from time to time and check the expiration dates of all samples. Home storage of samples. True collectors probably own stocks of samples. They may think that one day, the samples will become useful and replace your favourite cream, primer or foundation. Unfortunately, most of them will simply exceed their expiration date or just get lost somewhere among other cosmetics. It is a good idea to collect only those miniatures of cosmetics, which you will surely use, or can be given to others. Make sure to put every useful sample to your make-up bag or in a visible place in your bathroom. This way, you will collect only the necessary products and you will be able to use them before the expiration date. What is more, they will always be at your fingertips when going on holiday. Travel size cosmetics can be bought in every drugstore. Thanks to this, you can always keep in your bag a miniature hand cream, thermal water or dry shampoo, and use whenever needed, outside of your house. A good idea is to try out samples of new cosmetics at home, and take on holidays only tested and useful products. Why? Allergy or rash will not allow you to sunbathe or hiking in the mountains. In the end, each of us wants to look beautiful and attractive, especially on holiday. Redness, blemishes and scars… concealer to the rescue! How to apply your foundation using a Kuulee make-up brush? Body brushing instead of a scrub? Sure! Urban Decay Naked Illuminated Shimmering Powder for Face and Body.